Our new line of structures combines round pole timber framing with living roofs – perfect for gardens or urban landscapes. We use the highest quality of materials to give maximum longevity. Below are some design examples, but as we make to-order, we can design to any shape, size and specification. We can also put canvas roofs on most pitched frame designs, for a cheaper shelter. Size and shape to suit your space! We took one of our gazebo frames to the Malvern Flower Show! 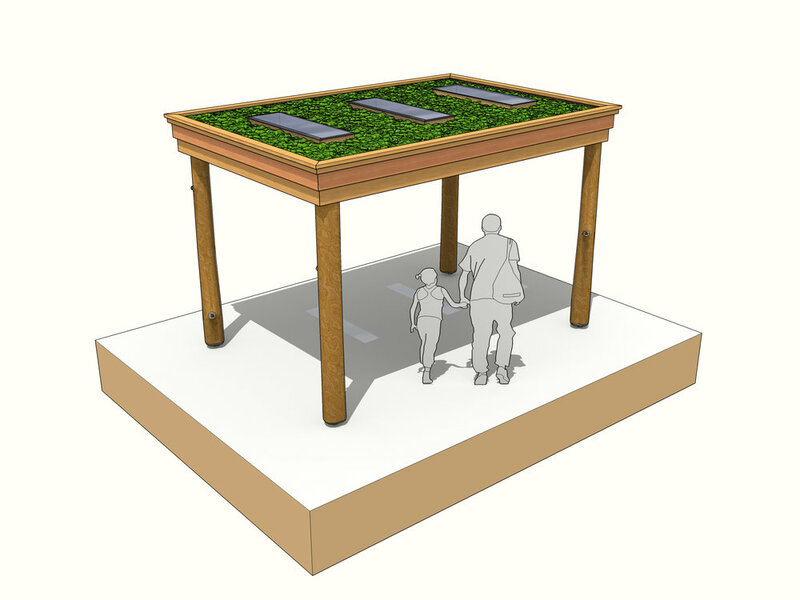 This frame could easily feature a green roof, although the canvas is a cheaper and made more sense for this application.